One of the most fulfilling times of year working at a destination marketing organization is when we stop to study the past year of visitation, measure the annual impacts and report on the area’s progress in visitor-related economic development. Perhaps nothing is more crucial to fulfilling our mission than proving the sustainable economic growth and development that accrues to Raleigh and Wake County by increasing visitor and convention business here. Though we measure and celebrate these macro-level figures only annually, tourism is a type of economic development whose payoff occurs daily, as customer demand and thus spending are generated again and again to fill our area’s hotel rooms, restaurant seats and attractions (such as sports venues) with patrons. In other words, we don’t have to wait decades to reap taxed returns on the investments in tourism made today, as the CVB and hospitality industries of Wake County are attracting and serving new and repeat visitors and harvesting the visitor spending every day. Try to imagine a Wake County with $2.4 billion less per year flowing through its local economy (and that’s just direct spending of visitors). 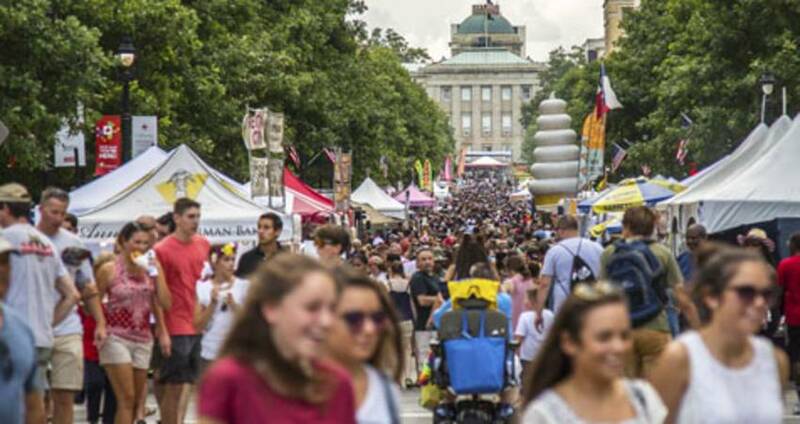 More importantly, most all visitor spending is taxed, and in 2016, these taxes paid by visitors and the industries supporting visitation to Raleigh/Wake County totaled $473.4 million. This is why we do destination marketing and management at the Greater Raleigh CVB… and why our peers in the CVB industry do what they do for their respective communities across the state and U.S. Generating record-breaking economic impacts like these (while looking back on 30 years of progress at the CVB, est. 1986) is something for which all of us in Wake County can take pause and celebrate. More about these extraordinary year-end figures and other measures of success will appear in August at the CVB Annual Meeting, in the CVB’s 2016-2017 Annual Report and in a fuller report on the economic impact of tourism here.